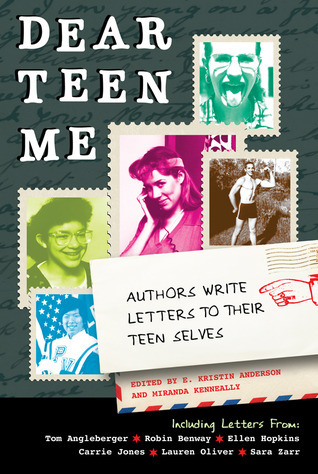 My own personal “Dear Teen Me” letter is part of the Dear Teen Me Blog Tour. You’re sixteen and it’s a Saturday night. Tonight, all of your friends are out with their boyfriends, and you’re feeling sorry for yourself. You’re probably drinking a raspberry tea with three sugars and watching the first season of Dawson’s Creek. You won’t believe me now, but, ultimately, Joey chooses Pacey. Life is good for you right now, even if you’re too angsty and mopey to admit it. I know you think you’re doused in boy repellent, but you’re not. In your twenties, you’ll run into some of the guys you know now and they’ll tell you that you terrified them with that serious look on your face and confident strut. So, smile. But keep that confident strut! You'll be surprised to hear it, Teen Me, but you actually have a lot figured out. I know you’re sleeping through first-period math almost every morning, and I’m here to tell you to keep doing it. You’re going to fail that class, and you know what? It’s not going to matter. Relax now because the next ten years are going to be crazy. Right now you think you're headed to the university you have you heart set on, but you don’t really want to go there. You think you want to go there because the building on the front of the brochure kind of looks likes a medieval castle and because a guy who once loaned you a pen is going there, but you’ll snap out of this Felicity moment soon. Instead, you'll move to Ottawa. It won’t feel brave at the time. It just sort of happens. But it is brave, and it’s the best decision you’ll make in the next ten years. Here you’ll take five or six classes a semester, work nearly full time, but still manage to have a lot of fun. And I mean a lot of fun. You’ll find your footing there. I won't spoil the fun for you by giving away all the details. You'll get to experience them all on your own. But I’m skipping ahead of myself here. You’re still sixteen. And you still have two more years of high school to get through. You’re actually going to have a lot of fun, but there will be bad times, too. Next year, a car is going to wrap itself around a tree, and you’re going to feel really fucked up for a while, but that’s OK. You’ll listen to a lot of angry music, and you’ll make it through. You’ll be happy to hear that the boy repellent is going to wear off before you graduate from high school, and you’re going to get to fall in love. And I mean the real kind of sappy, disgusting movie type love you’re probably scoffing at right now. He’s going to be a musician. And a chef. And he’s going to spoil the hell out of you. People are going to tell you that long-distance relationships don’t work. Just wait. You’re going to prove a lot of people wrong. So, stop worrying so much, Teen Me, because things turn out just fine. Enjoy your quiet Saturday night by curling up with a good book, because soon these nights are going to be rare. P.S. Do me a favour and read Catcher in the Rye while you're still young enough to empathize with Holden Caulfield. You'll pick it up a half dozen times in your twenties, only to abandon it. LOVE this post! We are kindred spirits: I own the box sets of both Dawson's Creek and Felicity. 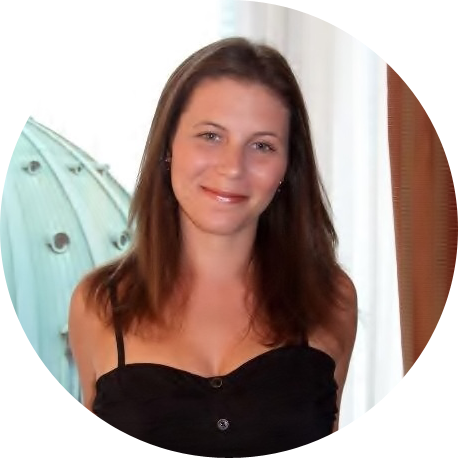 Thanks for being part of the blog tour!